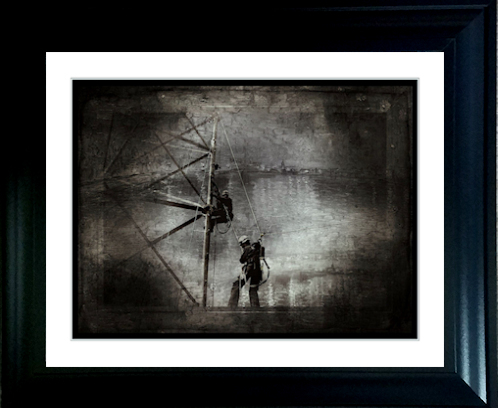 Our Grunge Style "Tower Buddies" Art Print makes for a unique piece of art for anyone who climbs towers for a living. The details on this print combine to create the gritty detail of contemporary grunge art. This telecomm tower high gloss print has a one inch contrasting black border as shown or we can change out the black border for a white border if you are framing it yourself and would like to use a black frame similar to we are offering with the 11x14 print...see below. Select your border and print size below. 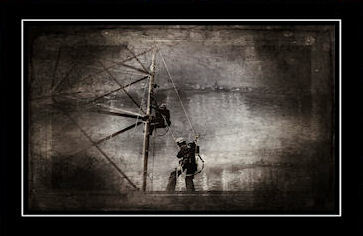 A striking abstract art print for home, work or perhaps as a gift for a tower climber, tower hand. Our "Tower Buddies" one-of-a-kind art print is creatively designed to give an urban feel and is very detailed, crisp and clear. Exclusive to TNT Electrical Trades Gift Store. 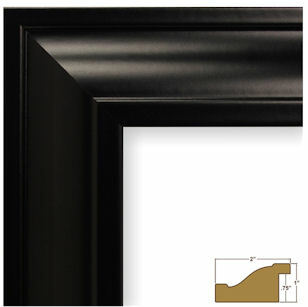 If you would like the optional black frame, it measures 17.5 x 14.5" and has a 2" frame width. It accommodates our 11x14 print. Here's a cutout of what the frame looks like. It is made in the USA.